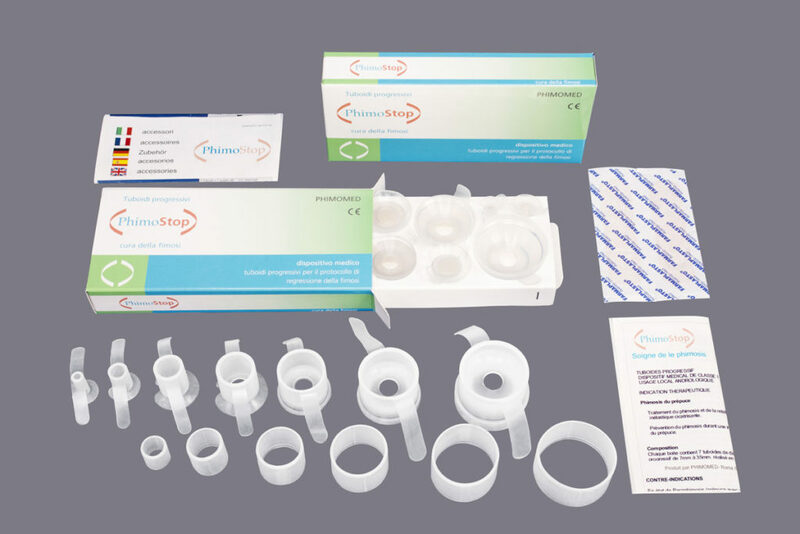 Phimostop is a medical device indicated for the treatment of phimosis and retraction of the inelastic scar tissue involved. There are essentially two types of phimosis: acquired phimosis, and what is termed “congenital” phimosis. In most cases, the phimosis can be of a tight and non-tight variety, and both types can be cured with Phimostop. Acquired phimosis is the most common type, and in adults, is mainly caused by the body’s defence reaction to a foreskin infection that isn’t treated straightaway (balanitis or balanoposthitis). When the inflammation heals, formation of an inelastic ring of scar tissue often follows, which prevents the foreskin from rolling down to cover the glans. This type of phimosis is easiest to resolve because, apart from the ring, the rest of the foreskin stays elastic and, once the scar tissue ring has been weakened with Phimostop Tuboids, physiological function is restored immediately, allowing you to cover and uncover the glans, even with an erection. The second type of phimosis – “congenital” – is caused by the foreskin failing to develop properly in childhood; it does not normally present as an inelastic scar tissue ring, but rather as an insufficient amount of tissue to cover the glans. This type of phimosis can also be cured by Phimostop which induces an increase in the diameter of the foreskin, again it is a physiological response to the stretching, but it takes longer, since the body needs time to form new cells to make the new foreskin tissue. The treatment usually achieves a result in a few days (on average one week of treatment is sufficient) for an average phimosis, and within a few more (about twenty days) for a tightened phimosis. Times can also vary in a significant way based on the subjective responses of the patients. A longer time however does not invalidate the positive outcome of this treatment. Particular care should be paid to consolidate the result by following the instructions in the patient information leaflet. 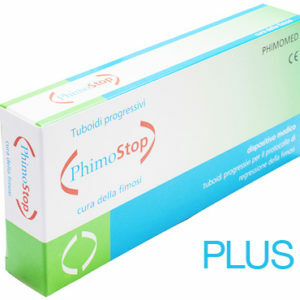 If you want a rapid solution for the problem, continuous use of Phimostop – night and day- with no interruptions to treatment is recommended.